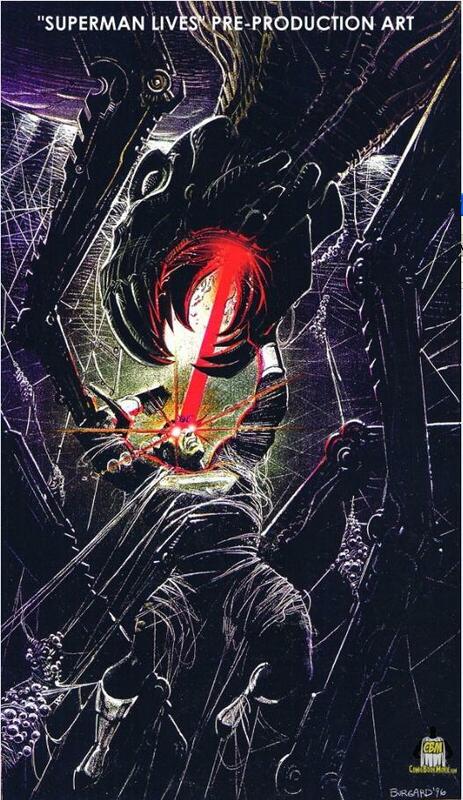 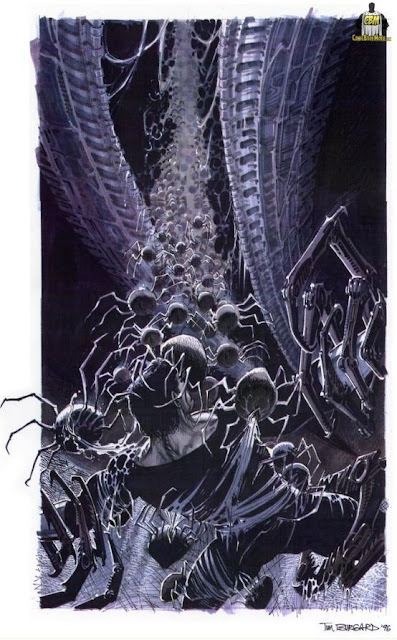 Back in 1996, Tim Burgard worked on designs for the giant spider creature in Superman Lives, described in the script as the Thanagarian Snare Beast, a creature that has grown to a large size proportions and resembles something of a cross between a squid and a spider, but very bio-mechanical and sleek. And the creature is inhabited by consciousness of the supervillain Brainiac's consciousness. 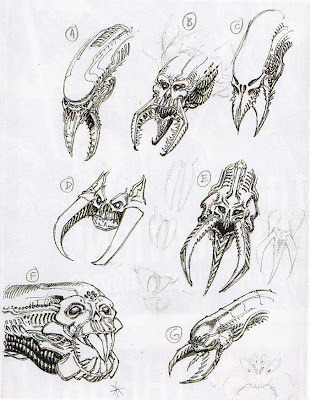 The executive producer Jon Peter's solution was to put something resembling a human face on the creature which despite how much Tim Burgard disapproved he went along with it. Soon his ideas developed into a creature with a head like Giger's Alien but with large mandibles and then also versions near humanoid faces.